This full-colour tabloid, high-quality publication had a print run of 255,000 copies distributed South of Nottinghamshire including London, Anglia, the Home Counties and Southeast England targeting the Telegraph’s wealthy, influential AB/ABC1 demographic. With an online distribution model going out to a further 250,000 subscribers. 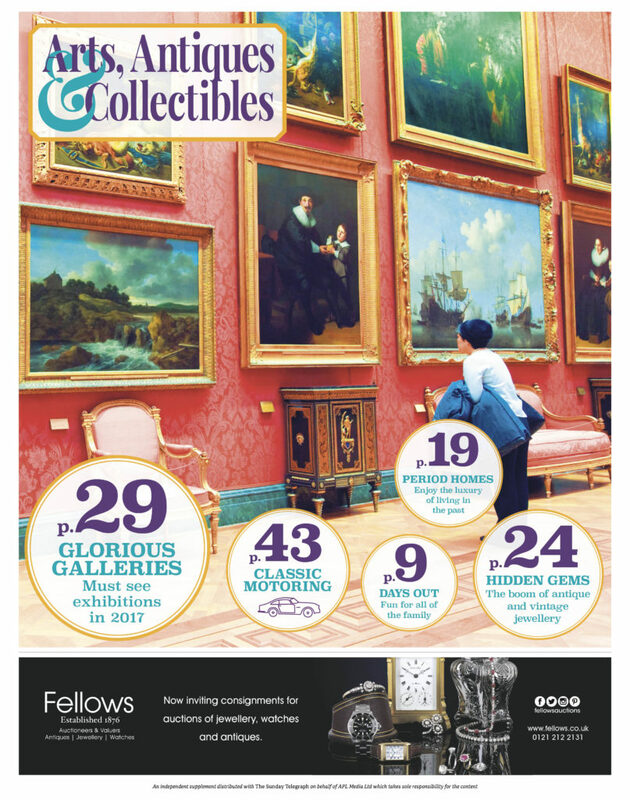 Packed full of interesting features from all corners of the arts and antiques world, including a look at how to get involved in the art-buying world with helpful tips and advice from Jane Tennant of Tennants Auctioneers. Could our readers have discovered the next big masterpiece, or long lost treasure? Elsewhere in the publication, we recommended some grand days out for readers and their families, advice on how they could maintain and upkeep a period home, and some help on picking out the perfect piece of vintage jewellery for that special someone. So plenty to keep all the family entertained throughout the spring! ‹ CALIBRE #12 On Sale Now!